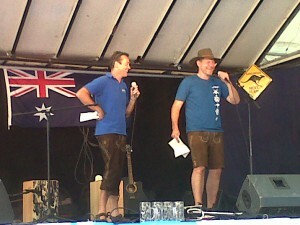 On the weekend 7th to 9th August the 1st Munich OzFest took place, organised by the AFL Munich Kangaroos who are celebrating their 20th anniversary this year. 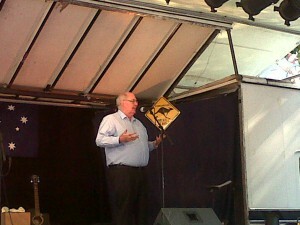 Our Patron, the Australian Ambassador H.E. David Ritchie AO together with the 2nd Lord Mayor of Munich, Josef Schmid opened the event. H.E. 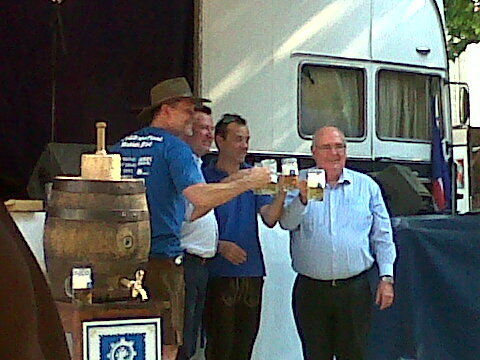 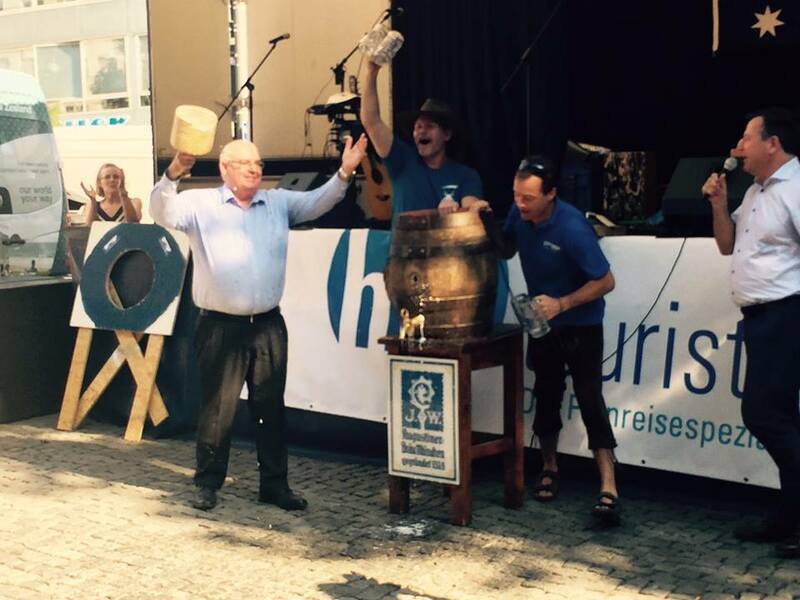 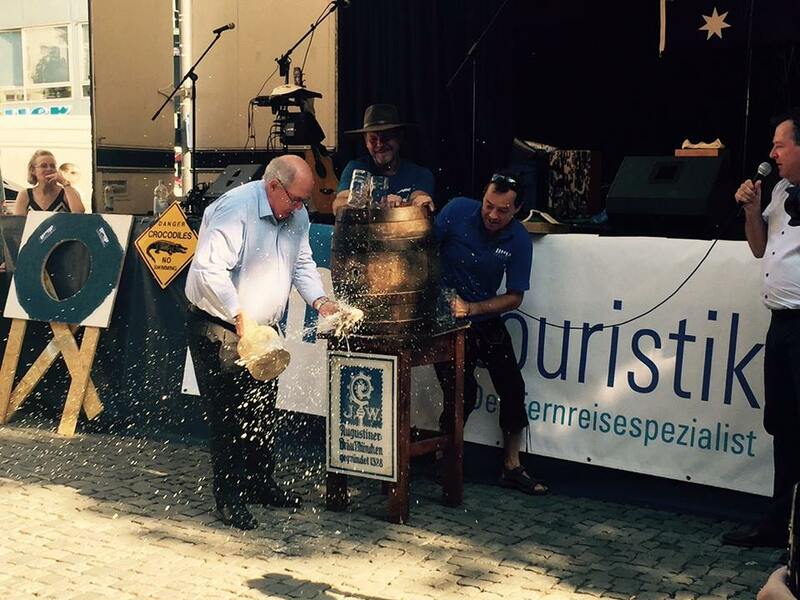 David Ritchie AO had to tap the 1st beer barrel. 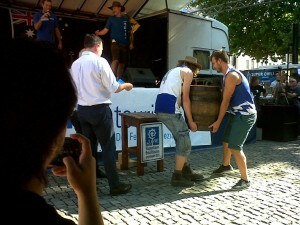 He gave an excellent demonstration of skill – 2 strikes! The program was also excellent: 11 different musicians /music groups were playing during the festival, the Waltzing Matilda Bush Dancers performed famous Australian dances. 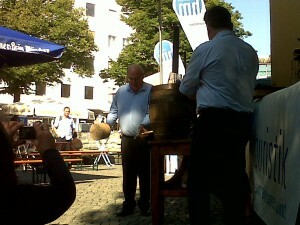 There was also boomerang throwing and boat races in the fountain at the Rindermarkt. 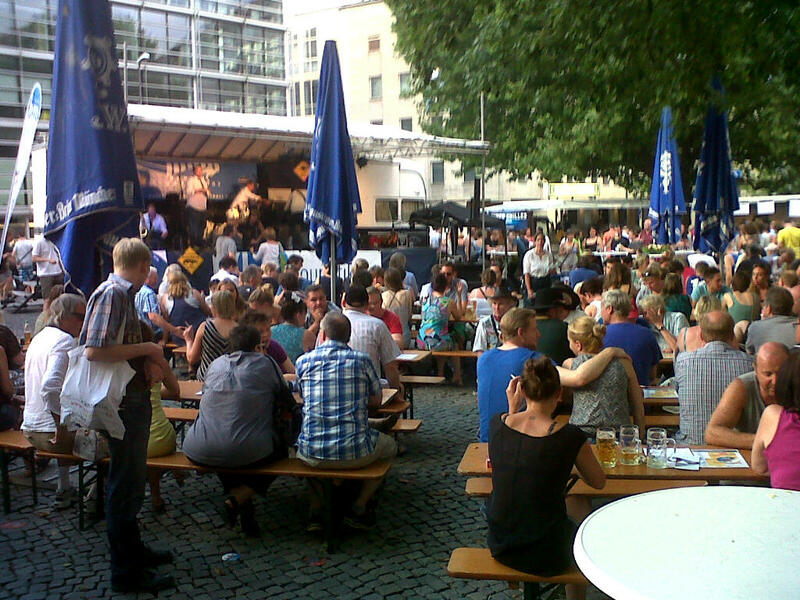 The weather was really nice apart from 10 minutes of rain on Saturday evening. The OzFest was a great promotion for Australia. GABC Board members Rob Harrison and Eberhard Goihl had the chance to support the event with a German Australian Business Council page in the OzFest Booklet. A lot of visitors were able to take the new German Australian Business Council flyer home.